A quart of orange, a pint of green and a touch of black. While this is not a direct scraplift, the design inspiration is influenced heavily by Nichol Magouirk and her From Start to Finish series over at Two Peas In A Bucket. My new Slice Elite cut this flower in no time. I can't believe how much better this machine works than the original! The diagonal stripe repeats the pattern found on the green paper. 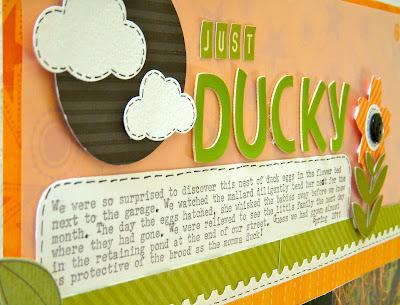 Journaling reads: "We were so surpised to discover this next of duck eggs in the flower bed next to the garage. We watched the mallard diligently tend her nest for the month. The day the eggs hatched, she whisked the babies away before we knew where they had gone. We were relieved to see the little family the next day in the retaining pond at the end of our street. Guess we had grown almost as protective of the brood as the momma duck!" I used the vellum to subdue the orange patterned paper and let the other elements pop - another tip I learned from watching Nichol's videos! Love this photo of the baby duck, just a few hours old, peeking out from underneath its mother. I cropped the picture to form my visual triangle of circles. 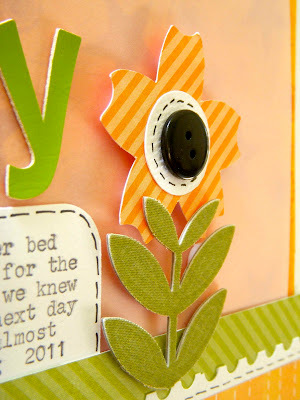 Now you can hop on over to the Crafty Goodies blog and continue the color combo fun! Thanks for stopping by! What a great layout! These colors work great with those photos. 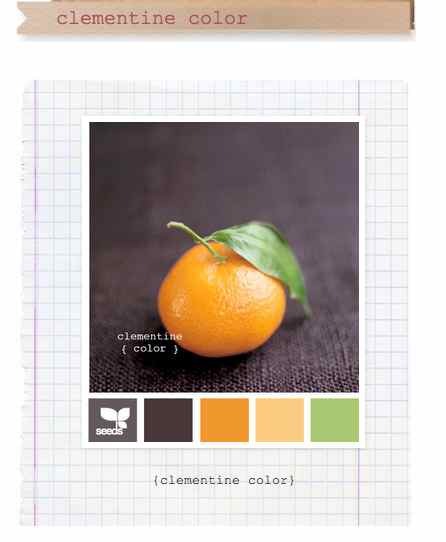 You know I love me some design seeds! Love what you've done with these colors -- orange is one of my faves, and it fits your (extra-extra-cute) photos so very well! the Lo is just perfect~beautiful work!!! Love the layout and love the story even more! That circle picture of the duckling is adorable. I want a duck to roost at my house!! Wonderfully done - all your elements are so cohesive. Great circle crop too! Great layout! 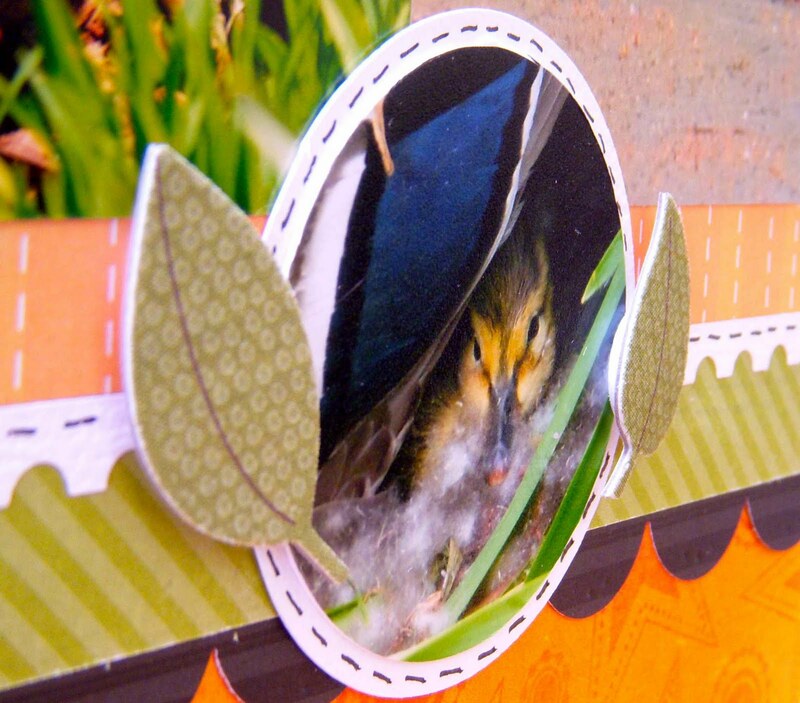 I love how all of the elements compliment each other and how you used the color combination! Great page, Sue and what a wonderful story. The round photo of the baby duck is a perfect touch. Wow, such a great design! Love how you broke things up with the paper strips and the scene with the title is awesome!!!! Sue, I'm in love with this layout! 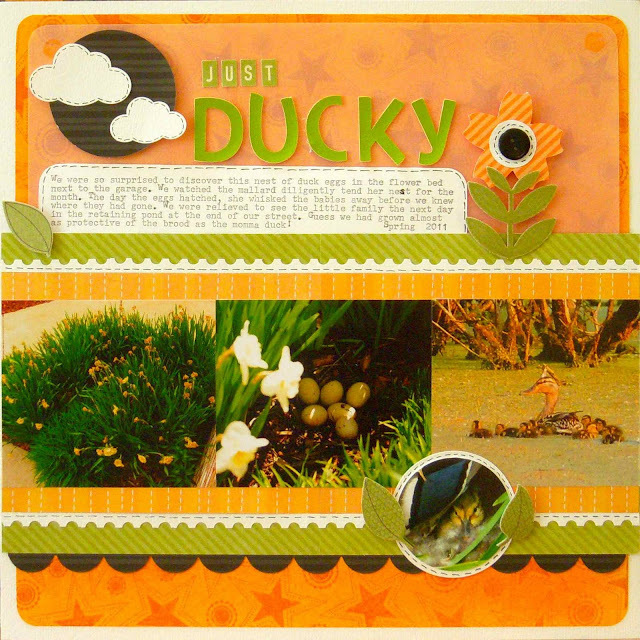 Your use of the colors is perfect, the duck photos are adorable, and I really like that you have various elements popping off the page. Great layout! I love how you used the colors. Very energetic feel to the page. Very nice! I love that you used vellum. I just stumbled upon my vellum stash and need a few good ideas on how to use it in my layouts.